‹ PreviousWill That Rain Ever Come Back? Thank you for saying that. Means a lot. Ahh! This made me feel sad. This poem is so simple and so short but it’s heartbreaking. Beautiful kind of heartbreaking. Hi Frank. I have been reading your poems for a while. Long enough to know something very hurtful happened to you. It seems as if it was a break up of a relationship that once made you laugh, and feel loved. Before, your poems were more creative, and fun, scary, cute, loving, but always entertaining. Now? Well, as most of your regulars might agree, very sad. I’m sorry for the pain you and the other person have gone through. 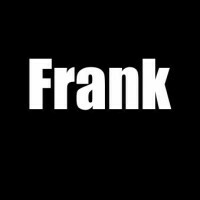 I pray for both of you Frank. That the only One who can, would heal the hurts, restore the love, and help both forget the wrong and hurtful things that were said and done. Love is patient, Love is kind. Love remembers no wrong. Love is long suffering. It has hope for all things. Love never fails. Why God? Because He is Love. We all miss Frank, the poet who gave freely. Thanks for your message, Mark. Just wanted to let you know that the poet in me likes to explore different feelings even though he might have never felt it himself. If these poems give the impression that the narrator has been through something painful then the poet has succeeded in conveying his message. Remember these are fictional works, and ‘I’ is always the narrator and never the poet. Then well done sir! I now realize, the first rule in writing, “write what you know” doesn’t apply to poets. Truly enjoyed this poem! This brings about so many thoughts about current and past relationships. Thank you. Someone tells you you might as well die? You need to avoid that person, that is toxic. I agree! Walk away–or run as fast as you can. Your fit as a fiddle frank lets be honest. Did you write that? It’s good. It reminded me of something the Yardbrds might sing..
Men are normally to selfish to admit this. They will treat you bad and wonder why you left, and only call you crazy for questioning anything they do wrong. All in all I enjoyed the poem. The fact that you are even questioning yourself, shows how lucky they are to have you.